SM Aura Premier is becoming more recognized as a food haven due to its drool-worthy line-up of various promising restaurants. 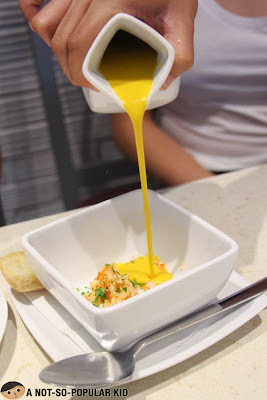 These include the following restaurants that made a huge buzz in the Philippine food scene: Niu by Vikings, Yabu, Magnum, Ramen Nagi, Todd English Hall and Kettle (which is the one I'm blogging about right now). 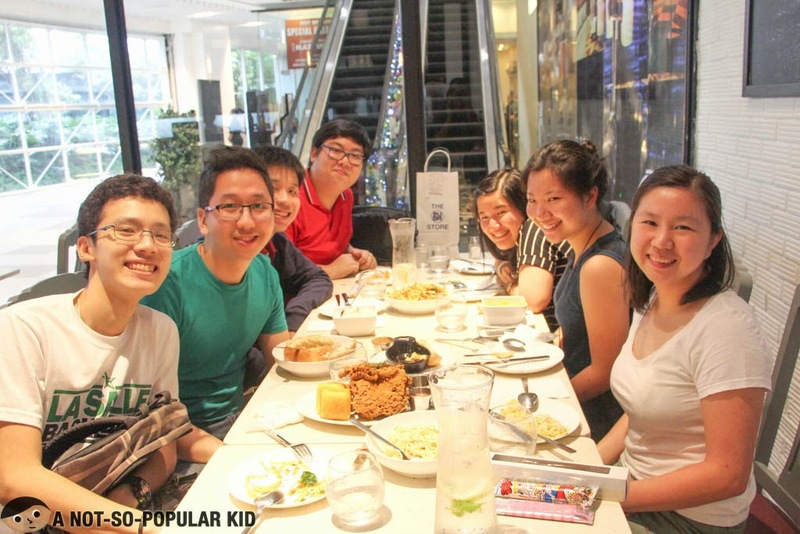 By the way, this blog post is in honor of my good old friend Nat Chan who recently just had his birthday this December! The name may sound familiar because I've used up some of his photos for a couple of posts here in the blog. Thanks Nat for the lunch! 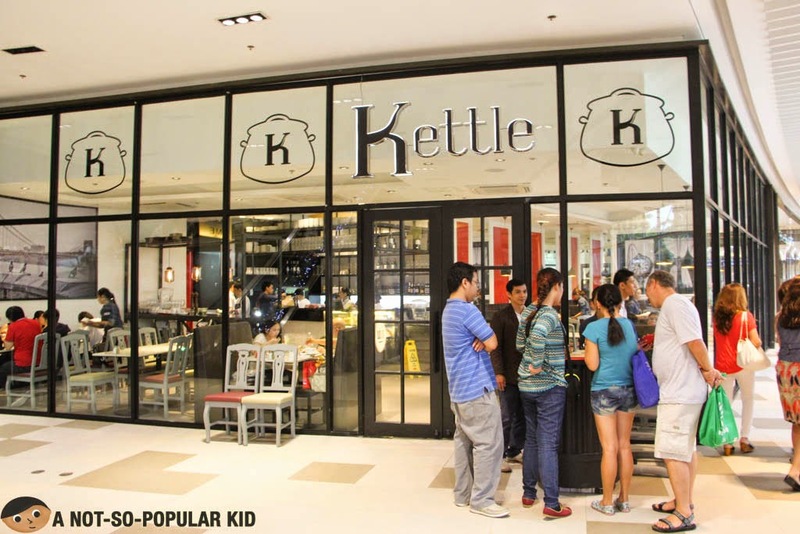 Kettle is a posh-looking place that has a fine dining feel mixed with a subtle air of comfort and casualness making it perfect for family bonding, friendly eat outs or even dates. However, despite the apparent classiness of the restaurant, we managed to be a little bit loud and improper. Yeah, that what usually happens when you don't see your friends for a handful of months. Now, shall we head on to the food offered here in Kettle. Presented in a fancy manner, the Squash Soup had this refreshing taste with an unfamiliar zest. The combination of flavors was something new for my palate; however, I consider this just as an "okay" dish. 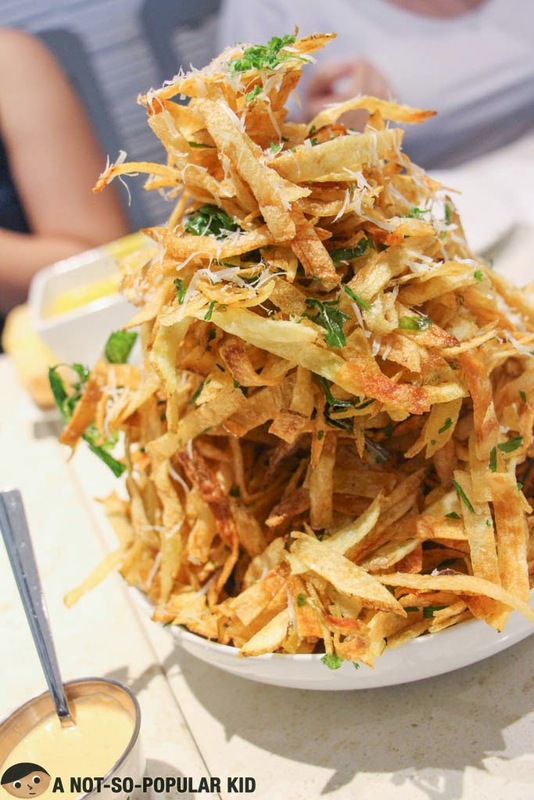 The Pork and Potato Strip, which is one of the best-selling dishes starters here in Kettle, also featured an uncommon distinct herby fried taste. I enjoyed it for some few munches, but it had a sharply declining marginal utility, an economic term used to measure happiness derived from consumption. 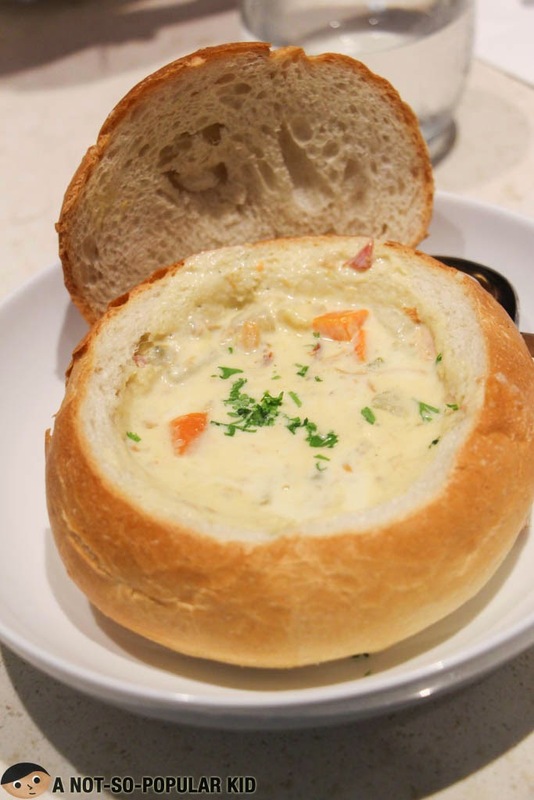 I'd been craving so much for this kind of Clam Clowder (in a bread bowl), and finally it was satisfied here in Kettle! 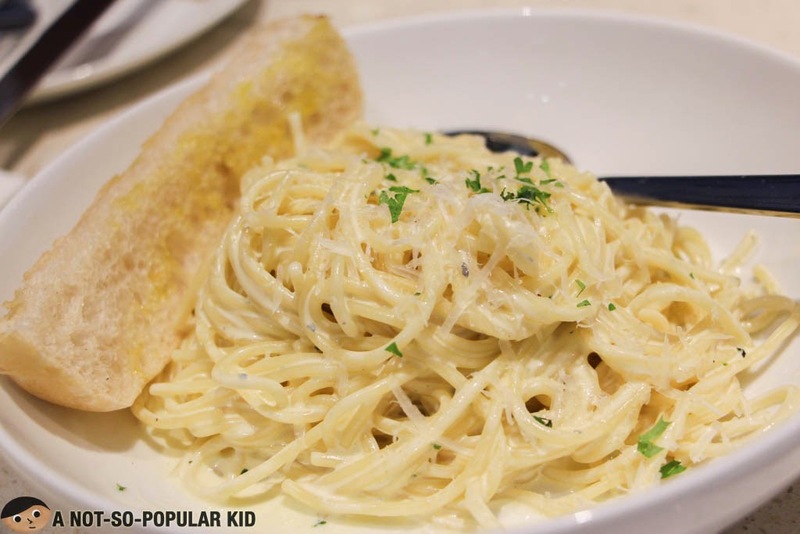 It had that familiar yet interestingly good blend of flavors that was heavenly nostalgic. I suggest this over the Squash Soup. 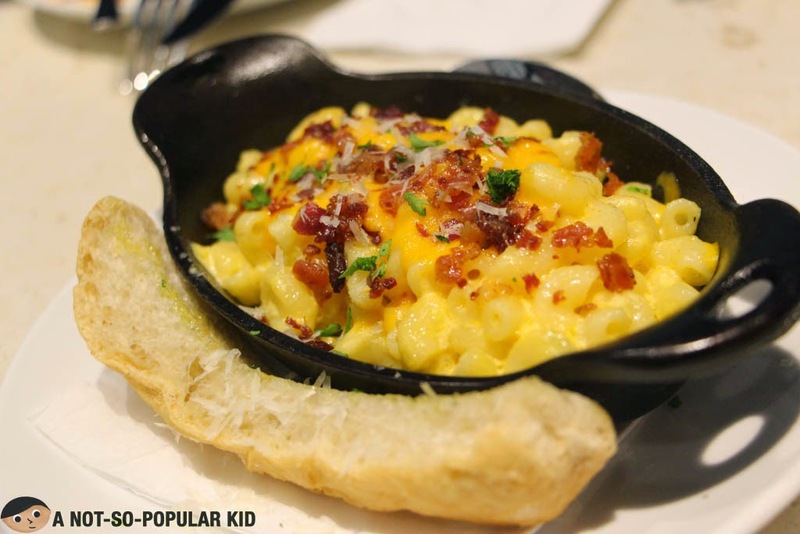 By its name, the Mac and Four Cheese would seem to have this enjoyable potent cheesy taste perfect for the cheese lovers, such as myself. However, it just came out as something ordinary and possibly bland. Although this is sad news to me, it might be good news for those who just want a mild touch of cheese. This Truffle Pasta was something I enjoyed due to the slightly balanced flavor of the truffle and cheese. However, I was still expecting something more for the pasta given the price. It could have been given more power in terms of the taste to make it more memorable. I'm giving this dish a recommended sigh because of its shareability (probably good for 2 to 4, or can be stretched to 7 if you are taking only small portions). However, honesty compels me to say that there was nothing much special about the taste of the chicken, but I really loved it when mixed with the cajun honey! In my opinion, the honey is the crowning glory of this dish. 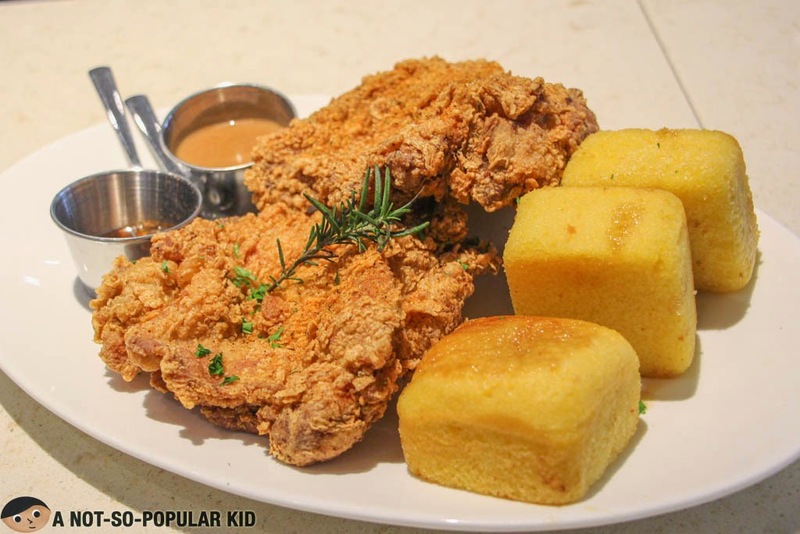 Note: The name of the dish (but not exactly the appearance) reminds me of The Girl and The Bull's own version of the Buttermilk Fried Chicken. We didn't have any desserts because we were full already, so that's all about it. Happy Birthday again Natty! Cheers for more awesome years to come! Also, it was nice seeing you guys! Although I generally feel that the dishes here just met my expectations, it was still a nice place to let my taste buds explore something new. 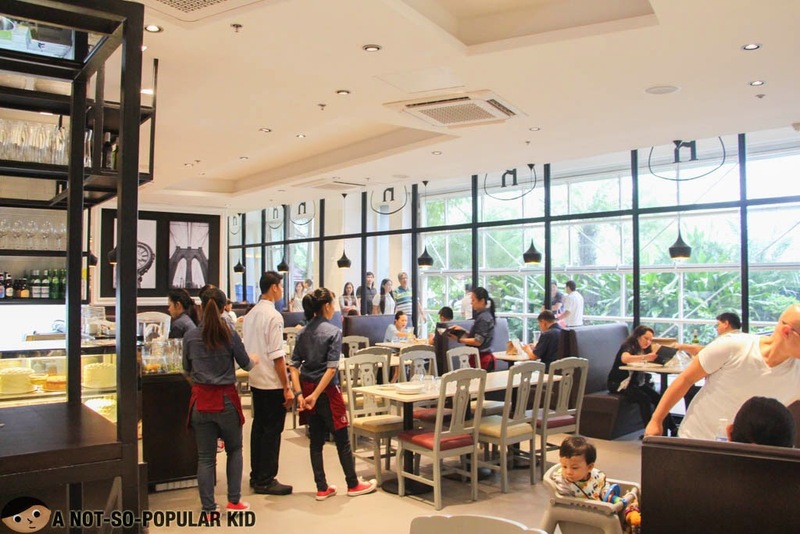 Also, I know that the prices may not be that wallet-friendly, but the ambiance, service and quality of the dishes may compensate for the price here in Kettle. In short, I still recommend this for trying. 7 Highlights in Niu by Vikings - Redefined Buffet Experience!